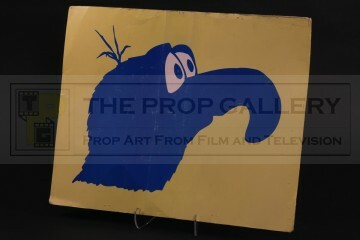 An original prop used in the production of Muppets from Space, the 1999 science fiction comedy featuring characters created by Jim Henson. 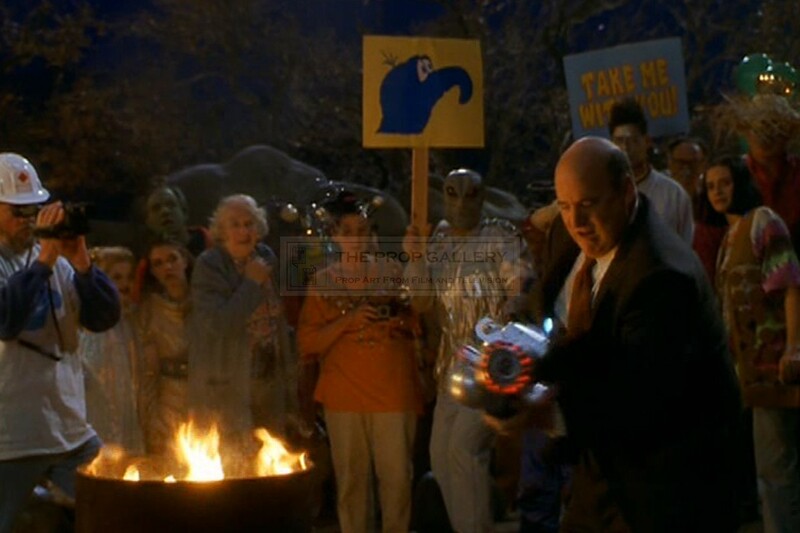 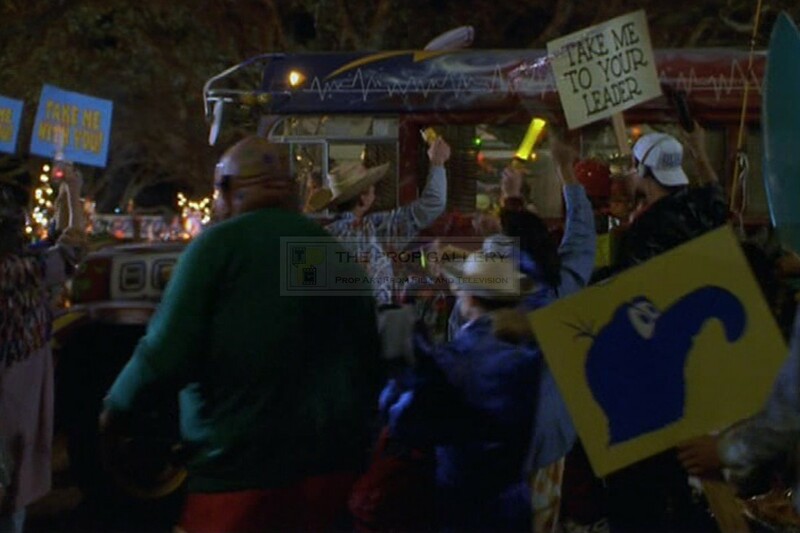 Signs such as this can be seen carried by spectators awaiting the arrival of the aliens at Cape Doom in the climactic sequence of the movie. The sign is custom printed on cardboard and features a silhouette of Gonzo in blue against a yellow background, two of these were originally stapled back to back and mounted to a wooden handle as seen on screen but the sign was removed by a crew member following the production for ease of storage and retained as a memento, the line of where it sat against the wood and staple holes still clearly visible. 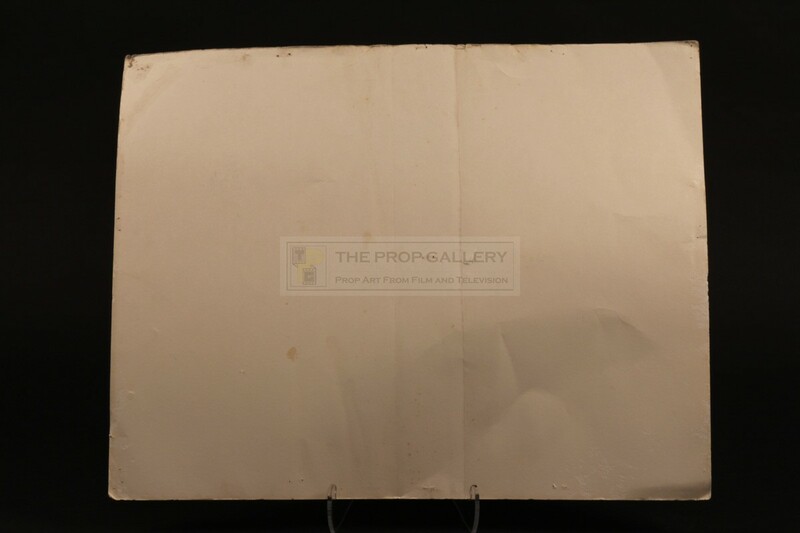 The sign measures an impressive 22" x 17.5" and remains in good screen used condition exhibiting edge and surface wear, minor creasing where it was stapled against the wooden handle and some toning to the verso. 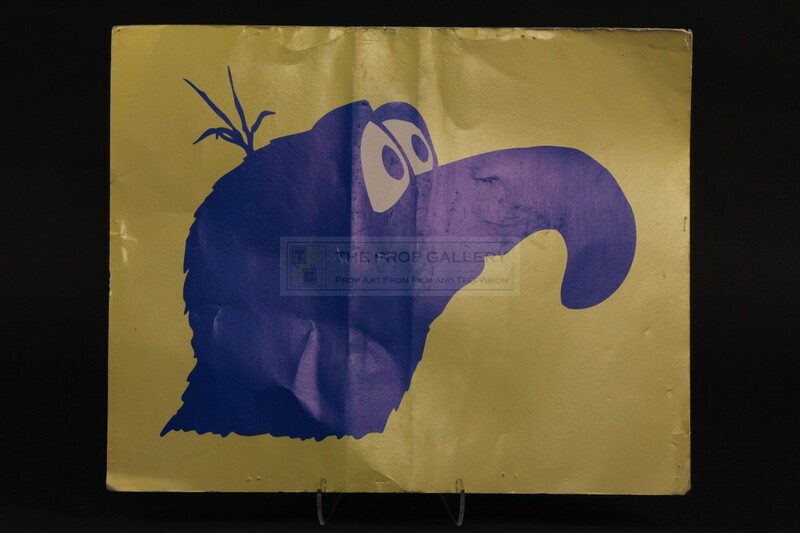 A highly displayable artefact from this classic franchise which features the likeness of one of Henson's most famous characters.